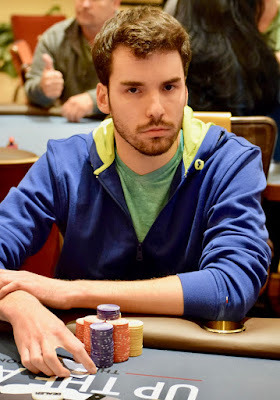 @WSOP Circuit Main Event players are back from a 15-minute break. 19 remain and Steven Tabb - 3rd here in the WPT Rolling Thunder Main Event last March - leads with 1.555 million. Here are chipcounts for all remaining players, one away from a two-table redraw.